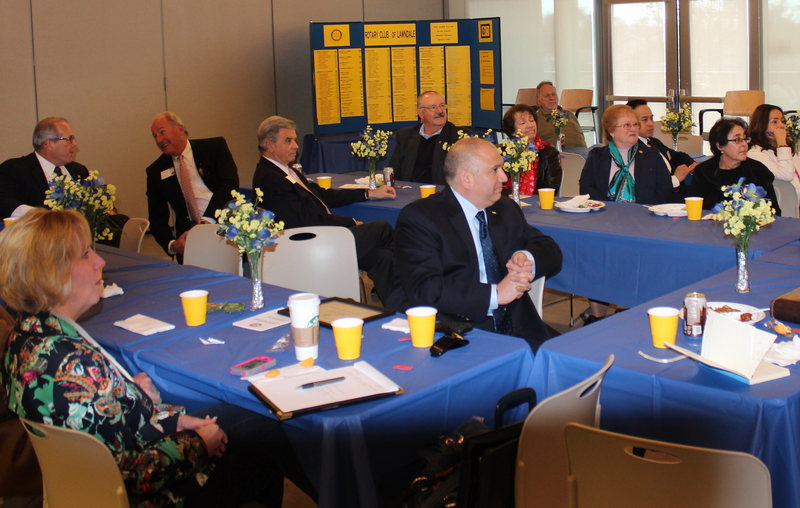 Today, the Lawndale Rotary Club and District 5280 representatives celebrated the generous nature of Lawndale Rotary Members as part of our Annual Paul Harris Foundation Celebration. Every year Rotary recognizes members that go above and beyond in their giving to Rotary. 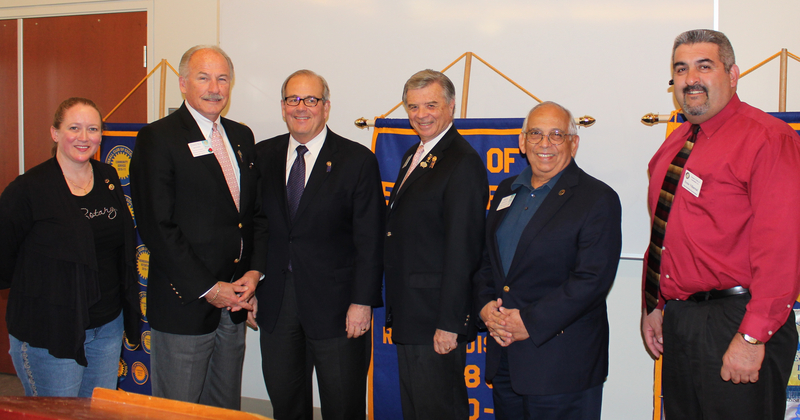 David Moyers(Rotary Foundation Chair) noted, “When I talk to Lawndale Rotary about giving, I am really preaching to the choir. Actually, the Tabernacle Choir of giving.” Lawndale Rotary has a long and distinguished record of giving at a per capita level unmatched by much larger clubs. In fact, once all the donors were recognized and standing at the front of the hall, there were only few of us left sitting. In addition to recognizing the generosity of existing members, Past District President Rick Mendoza welcomed new Lawndale Rotary Member Dominic Valencia. Dominic was a past member and has now rejoined the Club. We are very thankful to have him back and look forward to his valuable contributions to the club in time and resources. It was a great celebration of “Service Above Self” and giving to help others in our community.